When you got your ears pierced as a young girl, you probably didn’t consider how your earlobes might look after years of holding the trendiest earrings of the eras. Your pierced ears have likely been adorned with pearls, large gold hoops and heavy stones over most of your life. What you may be left with are earlobes that are stretched out, torn or no longer attractive. Don’t worry – there is a simple fix from your plastic surgeon that can restore youth and vitality to those hardworking earlobes. This procedure is typically complete in about 30 minutes under local anesthesia. You can expect micro stitches that leave minimal scarring. Following earlobe repair, patients typically return to work or school the same day. As long as your healing has gone as planned, you can have your ears re-pierced about a month after surgery, or when your plastic surgeon advises. Your earlobes are made of cartilage entirely, which makes them very susceptible to damage but also easy to repair. 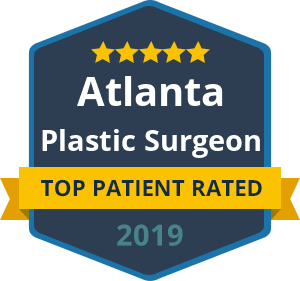 Trusting a board certified and experienced plastic surgeon, such as Dr. Ben Talei, can ensure that your earlobes are repaired in the most natural and balanced way. Give your earlobes the attention they need after years of holding up your fashion accessories!